U.S. President Barack Obama said on Tuesday that renewed Israeli settlement activity does not help peace negotiations with the Palestinians and that neither side is making the extra effort needed for a breakthrough. Israel said on Monday it would push ahead with plans for 1,300 new apartments for Jewish families in Arab East Jerusalem, despite fierce opposition from Palestinians. 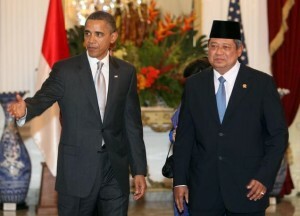 “This kind of activity is never helpful when it comes to peace negotiations,” Obama told a news conference in Jakarta, where he was due to make a speech reaching out to the Muslim world before leaving Indonesia on Wednesday. “And I’m concerned that we’re not seeing each side make the extra effort involved to get a breakthrough that could finally create a framework for a secure Israel living side by side in peace with a sovereign Palestine,” he said, when asked about reports of the renewed settlement plans. The timing of the announcement could prove an embarrassment for Israeli Prime Minister Benjamin Netanyahu, who is in the United States looking for ways to revive Middle East peace talks that have stalled over the Jewish settlement-building. Netanyahu countered censure of the latest Israeli project by noting that Jewish homes had gone up in Arab East Jerusalem during previous rounds of peace talks, without blocking them. “Jerusalem is not a settlement. Jerusalem is the capital of the State of Israel,” Netanyahu’s office said in a statement issued shortly after Obama’s criticism was reported. Raising the stakes in the floundering talks, the chief Palestinian negotiator said on Tuesday Israel’s plan to build new homes on occupied land should be countered by international recognition of a Palestinian state. 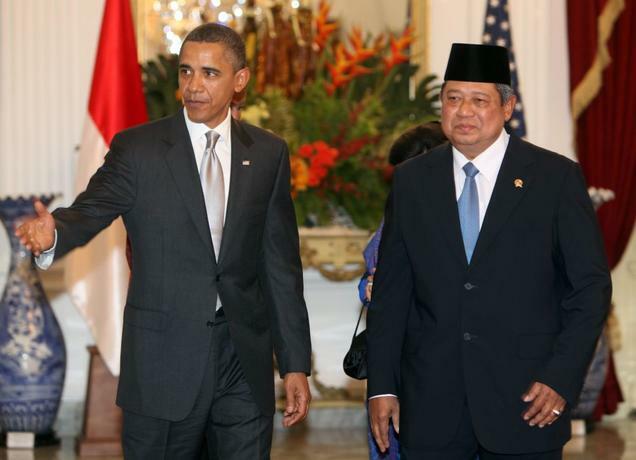 Obama still enjoys strong support in Indonesia, even as confidence in him has dropped in other Muslim states since he made a major speech in Cairo in June 2009 angled towards the Islamic world. The long U.S. wars in Muslim nations Afghanistan and Iraq have lost him support, as has the lack of movement on peace negotiations between Israel and the Palestinians. Obama hosted Netanyahu and Palestinian President Mahmoud Abbas in Washington in September in hopes of boosting the peace process. But direct peace talks broke down almost as soon as they had begun, after Netanyahu rebuffed Palestinian demands to extend a partial freeze on settlement activity in the occupied West Bank. Obama said he would keep working toward a peace accord. “It is in the world’s interest. It is in the interests of the people of Israel and it is in the interests of the Palestinian people to achieve that settlement, to achieve that breakthrough. But each of these incremental steps can end up breaking that trust between the parties,” Obama said. Israel captured East Jerusalem, along with the West Bank, in the 1967 Middle East war and regards all of Jerusalem as its capital. The Palestinians want East Jerusalem as the capital of a state they hope to establish in the West Bank and Gaza Strip.